Are you a social media user? 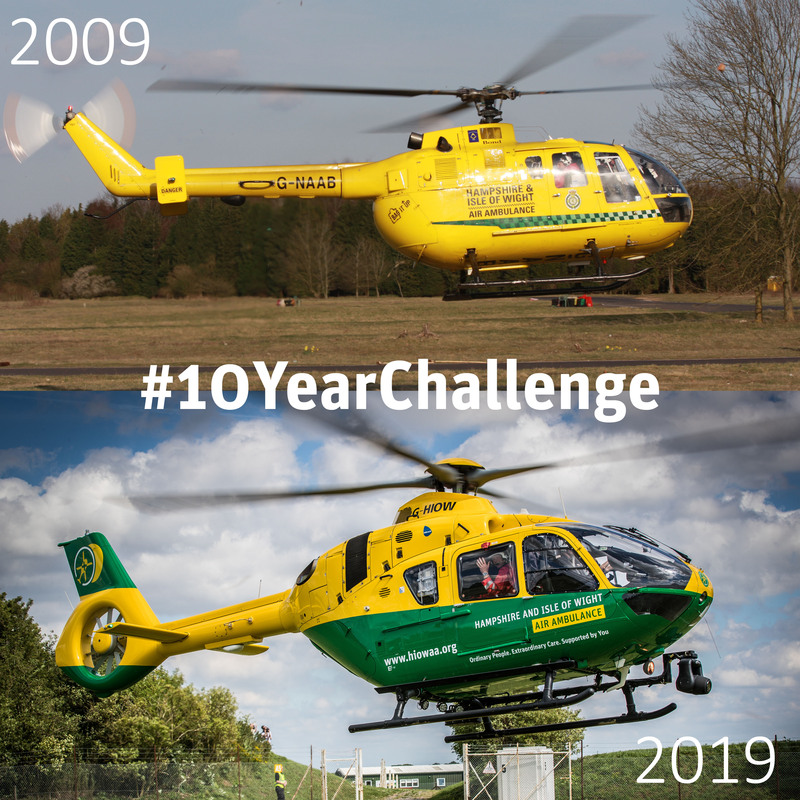 If the answer is yes, you may have noticed a recent trend- The 10 Year Challenge! It’s an opportunity for users to post a photo from 2009 and 2019, and reflect on the changes that may have happened in the past decade. Ten years ago, we flew a Bolkow BO 105DBS, today we fly an H135. Ten years ago, we attended 2-3 missions a day. Now we respond to an average of 5-6 emergencies every day. Ten years ago, we didn’t have a Critical Care Team Vehicle. Since our vehicle came into operation in 2017, we have doubled the number of missions we attend, meaning we can be there for more people in their hour of need. Ten years ago, we didn’t carry blood or plasma on board. Now both our Air Ambulance and Critical Care Team Vehicles do. Ten years ago we didn’t fly at night. Thanks to your support, we began operating night missions in 2016. Ten years ago, we didn’t have an Education Team. Now our team have presented our life-saving programmes to over 20,000 students. A lot has changed for us in 10 years, but it’s only through your support that we’ve been able to achieve this.